My name is Anand. I am updating here for raising fund for the surgery of my beloved cousin Mr. KASI VISWANATHAN Age: 21. He met with an accident and got fractured in right hand wrist and in cheek. He undergone wrist and cheek surgery we thought he recovered safely and we moved back to home. But within the month his eye lid got closed. We went for eye checkup but doctor told that the problem araised due to his vein to brain got damaged and now he is suffering from TYPE "A" HIGH FLOW POST TRAUMATIC CCF. The blood vein's behind his eye is damaged, due to which the blood flow to the eye is blocked. Because of this his eyelid's have closed. 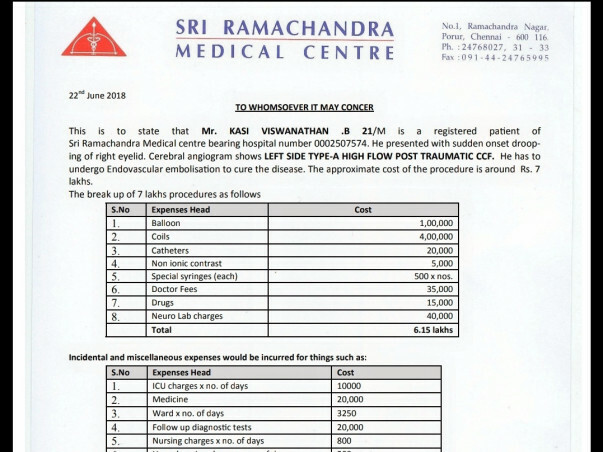 Doctor has suggested to undergo an ENDOVASCULAR EMBOLISATION surgery as soon as possible if not he may loss his vision due to mixing up pure and impure blood. 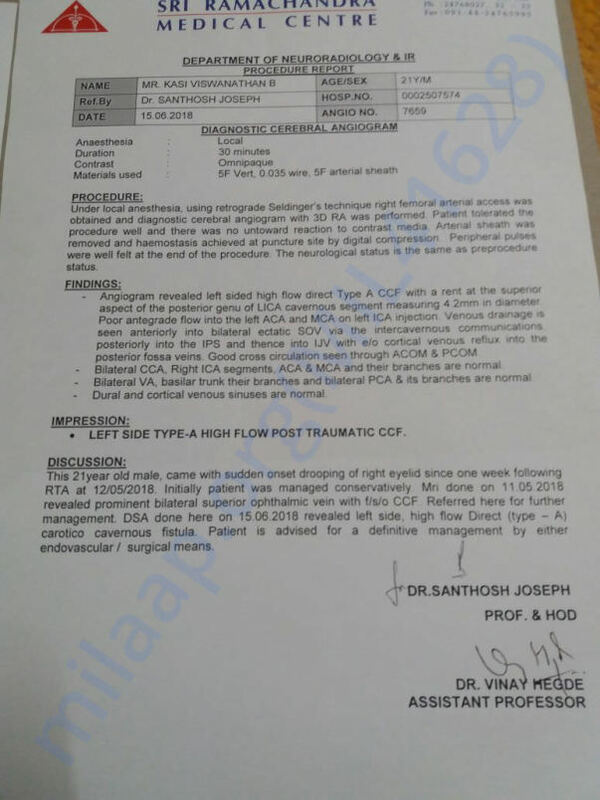 He is undergoing treatment at (SRI RAMACHANDRA MEDICAL CENTER, PORUR, CHENNAI). 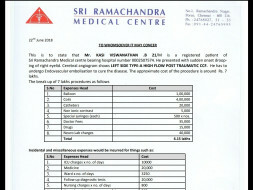 The treatment will cost upto 7 lakhs. 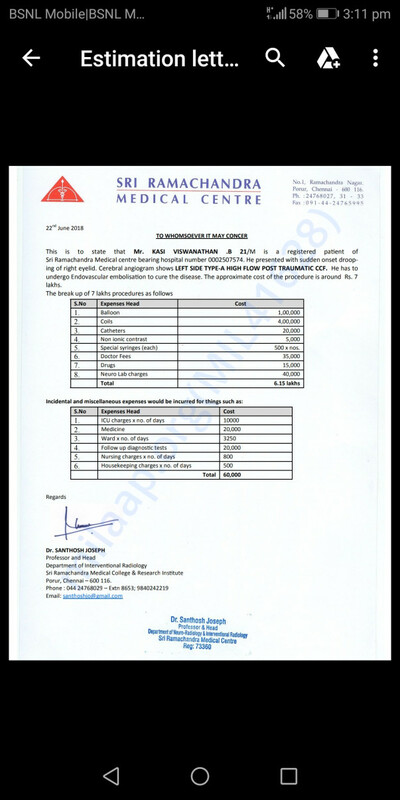 We are unable to make arrangement for this as we spent around 4 lakhs already for his post accidental treatment. I kindly request you all to donate money for his surgery and help him to get back his vision and his life. Please Help us to raise the required amount by clicking on the donate button and/ or sharing the fundraiser with family and friends.